Ethiopian music has come a long way from its original traditions of being strictly associated with the Tewadeho Orthodox Church. Amharic music began to take hold during its "Golden Ages" which came during the 1960's and 1970's when a plethora of talented singers and musicians flooded the Ethiopian musical scene. It was an era when artists had the freedom to explore their talents and express themselves through their music. This soon changed when the revolutionary Derg government took power and forced many of these bright stars to flee the country and migrate to primarily Western countries. Considered only to be a slight speed bump in the evolution and growth of Amharic music, the artists continued to produce and perform their music in their adopted countries, to the delight of their eager audiences. Tizita songs (slow and romantic), Ethio Soul, Ethio Jazz, etc. popular during the "Golden Ages" have now given way to a wonderful infusion of traditional Ethiopian music with more contemporary styles. This has given birth to Ethio Rock, Ethio Rap, Ethio Blues and a lot more. Today, Ethiopia's Amharic music is accompanied by various other Ethiopian languages, such as Oromiffa, Tigrigna, Gurage, Sidamo, etc. The diversity of Ethiopian music has provided audiences with a variety of intriguing styles and cultures. Globally, the music of Ethiopia, be it Amharic or any one of its other languages has been accepted and even awarded in various international competitions. Although, still in its infancy, the music industry of Ethiopia and its numerous talented and bright stars will surely provide worldwide audiences with sounds unparalleled anywhere else. Aster Aweke was born in 1959 in the city of Gondar in the northern part of Ethiopia. She grew up in the capital city of Addis Ababa and by the age of 13 began performing in clubs and hotels. Influenced by singer Bizunesh Bekele, Aster played in bands such as the Continental Band, Hotel D'Afrique Band, Ibex or Roha Band and the Shebele Band. By 1981, Aster Awoke would relocate to the United States and continue to perform music in clubs and concerts in Washington DC, which has the largest concentration of Ethiopian Diaspora. She would go on to be an Ethiopian and African music superstar winning awards on the continent and having a huge audience base from all over the world. Tilahun Gessesse was born in Wolliso, Oromia, in 1940 and went on to become Ethiopia's musical treasure. He would be nicknamed "the voice" and become one of the most famous singers in the country, during the "golden ages" of Ethiopian music in the 1960's. Through his recordings, Tilahun rallied the population to raise money for the famine during the 1980's and was numerously awarded. He passed away in 2009, after returning from the United States and was given a well deserved state funeral with thousands of his loyal fans attending. Mahmoud Ahmed, an ethnic Gurage, was born in 1941 and fell in love with music at an early age, through music on the radio. Bad at school, he would go on to shine shoes at Emperor Haile Selassie I's favorite after hours spot. The chance of a lifetime came to young Mahmoud when one of the band's singers was missing, and he asked to take his place. He managed to keep the job till 1974 when he went on to become a hit singer. By the 1980's he opened up his famous Mahoud Musica Bete in Addis Ababa's Piassa area. Through the years, Mahmoud would become an international star, representing Ethiopian music in European, American and African tours. He would also win the BBC World Music Award in 2007 and to this day his YouTube videos and demand for his wedding performances are strong. Teddy Afro was born in 1976 with the name Tewodros Kassahun. He would go on to become one of Ethiopia's most influential singers. His first album was released in 2001 with the name Abugida, but it was his third album Yasteseryal (2005) that used clever lyrics and stylish beats to hide an undertone of political dissent. This album coincided with the political tensions of the time, and he had four songs banned from being heard in public. He would also be incarcerated for 2 years on a hit-and-run charge, yet this is highly debated. To this day, Teddy Afro continues to produce great albums and still remain controversial. Eyob Mekonnen was born in 1975 in Jijiga which is in the Somali region of eastern Ethiopia. He would move to the capital Addis Ababa as a young boy, continuing his pursuit for a musical career. Eyob joined the Zion Band, which was becoming popular in the clubs around Addis Ababa. By 2010, Eyob would release his first album "Ende Kal", which took some time to gain popularity. 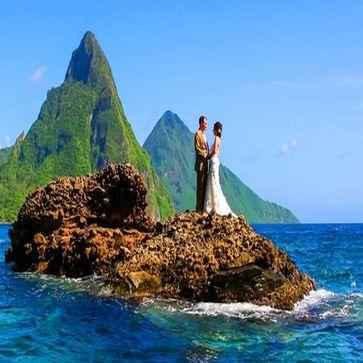 Its theme of "love, peace, social responsibility, and morality" coupled with a reggae feel would eventually win over the population and go on to become a huge hit. In 2013, Eyob would pass away in Nairobi, despite the contributions and efforts of his fans from across the world. An ischemic stroke caused by atrial fibrillation was the cause. Eyob is still remembered today as being one of the pioneers of great Ethiopian reggae music. Haile Roots born Hailemichael Getnet in 1982 grew up in the capital city of Ethiopia, Addis Ababa. His initial interests were to become a soccer player or a painter and entertained no though of becoming a musician. Nevertheless, by 1993, after attending a reggae concert, his love for reggae music began to blossom. He would go on to collaborate with famous singers such as Gashe Aberra Mola and Tigist Bekele. By 2011, he would release his first album "Chiggae", which had features by Teddy Afro and international reggae star Lucciano. The album would make him an Ethiopian reggae superstar. Born in Addis Ababa, Jah Lude Awol an ethnic Eritrean would grow up to become a famous Ethiopian singer/songwriter. All of the songs on his album ere written by him, and Jah Lude claims that some took him ten months to finish while other only ten minutes. Jah is considered by many internationally to be the African Bob Marley, due to his musical style and lyrics. Nhatty Man, a native of Addis Ababa, would drop out of Civil Engineering College in his 2nd year to become a DJ or disk jockey. After joining Express Band then Sweet Band, he would release his first single "Amrogne" which became an instant hit. He would go on to drop his first album in 2011, which had elements of different genres such as Rock, RnB, Reggae, and Ethiopian rhythms. With his great stage presence and ability to create great music, Nhatty has been called to perform on international stages, such as Big Brother Amplified (2011) and the 1st East African Music Awards. Gossaye Tesfaye was born in 1975, in Ethiopia's capital Addis Ababa, in the neighborhood of the famous Merkato, which houses Africa's largest open air market. During his formative high school years, Gossaye would perform live for his fellow students, outgrowing this; he would join the "Mestawet" theater group, which helped build his talents further. By 1993, Gossaye would perform in clubs and restaurants in Addis Ababa and by 1997, Kistane Band would hire him for a full year. Gossaye would go on to release albums and become a household name for Ethiopians locally and internationally. Tigist Hailu is a new Ethiopian singer who exploded on to the scene with her hit song "Lgitu-Lebe Mala". Abdu Kiar was born on 1976 in the Merkato area of Addis Ababa in Ethiopia. By the time young Abdu graduated from high school, he immediately joined the Express Band in 1997. They performed dancehall, hip hop and reggae genres in local clubs and restaurants. By 1998, Abdu Kiar would move to Jeddah in Saudi Arabia to work as a storefront salesman. In 2003, he released his first album which celebrated his hometown's area; "Merkato Sefere". His albums have since been widely loved by audiences all over the world, as a Diaspora himself he also includes lyrics that endear him to his Diaspora fans. Currently living in Alexandria, Virginia and taking classes to get his degrees, Abdu Kiar still takes time to travel the world on tours. Kuku Sebsebe (Sebsibe) born and raised in Addis Ababa, Ethiopia. By the young age of 9, she would perform English and Amharic songs for her fellow students, using her lunch box as a drum. Her father Dejazmach Sebsebe Shiberu would enthusiastically support her love for music with musical shows being performed at home. Her first stage performance was done during her high school graduation party in the Hilton. Shortly following this, Kuku would join the Ibex, Walia, and Roha Bands. She would go on to record her first single "Ingidayenesh" with the famous artist Alemayehu Eshete. In the 1980's, Kuku would move to the United States in the metropolitan area or MD/VA/DC and perform at Meskerem restaurant aside from touring the States and Europe. In 2002, she moved back to Ethiopia with her family and continues to this day to tour locally and internationally as well as create new albums; making her a one of Ethiopia's hardest working singers. Zeritu Kebede was born in 1984 in Ethiopia's capital of Addis Ababa. An avid reader and music fan, Zeritu made her stage debut as a 5th grader singing a Michael Jackson song. Upon graduating from high school, she joined the Sweet band and later the Express Band, all while attending classes in Adama University, till she dropped out to focus on singing. While working on her debut album, opportunity struck when she was invited to sing in a group song raising awareness about HIV/AIDS. The group was filled with superstars and upon the release of the song "Mela", Zeritu became an instant celebrity. After 18 months laboring in the studio, Zeritu Kebede would release her first album, which was self titled in 2005. The album would go on to be one of the most successful in the Ethiopian music industry. Through the years, Zeritu would also act in movies and collaborate with famous singers such as Eyob Mekonnen. Neway Debebe was born Assela, in the Hamer Bako district. His ambitions to become a musician began while still in high school as he joined and helped improve the school band. Upon completion of high school, Neway would move to Addis Ababa and join Ras Theater's traditional band. Neway released his debut album in the 1970's while working with the Roha Band. He has since released 6 albums and featured in numerous others. A superstar in his own right, he is still considered the protege of Tilahun Gessesse, arguably Ethiopia's greatest singer. After of over sixteen years in America, in 2007, Neway and his philanthropist wife, Dita Aida Hasen, moved back to Ethiopia. Abinet Agonafir was born in Awassa, in the southern part of Ethiopia, but left to Addis Ababa only a year later. While in school, Abinet would join the Mestawet music and theater club to enhance his already burgeoning musical talent. He would go on to join the Nyala and Hi Fas Bands, as well as, write songs for upcoming artists. Aside from the massive success of his albums, Abinet Agonafir also produces film, and prepares melodies and lyrics for famous artists. Jano Band is made up of 2 female singers, 2 male singers as well as other musicians. The current members are Michael Hailu, Hewan Gebrewold, Haleluya Tekletsadik, Debekulu Tafesse, and Hailu Amerga. Jano Band is known for infusing traditional Ethiopian music with rock, naming it Ethiopian Rock. The group was brought together by the sponsorship of a well known and successful Ethiopian business man, Ermias Amelga. Their phenomenal success resulted in their touring to many countries across the globe. Despite a hiccup in 2017 over financial and ownership disputes, the band released another album in 2018. Shewandagne Hailu was born and raised in Ethiopia's capital city of Addis Ababa. He began his passion for music at an early age, singing for his classmates in English and Amharic, while in high school. Upon graduation, Shewandagne study business management in Addis Ababa University but would drop out after three years to pursue his music. He would sing with the Ethio-Star Band, twice a week while still in University. With his new found freedom, Shewandagne's fame grew and he joined the famous Sevance and Express Bands. His chance at superstardom came when he performed a remake of Girma Beyene's "Tsigereda" live on Ethiopian Television. He quickly followed this up, with the release of his album "Sik Alegn" which till this day is considered a classic. After a world tour, he would join up with various bands such as "Zion" and "Afro Sound", and would even venture into the nightclub business. Along with Teddy Afro he would rent the famous Lion club and turn it into one of Ethiopia's hottest night destinations. Although short-lived, the 6 month experience spurred Shewandagne Hailu to enter into another night club venture, called Farenheit club. In between running his club, he still tours and sings. Betty G is a young singer and relatively new in the Ethiopian music scene, but her ability to sing in Amharic, English and French has made her one of Ethiopia's new up and coming stars. Her collaborations with Teddy Afro and Nigerian Singer Ras Kimino have elevated her status in the industry. Betty G's debut album in 2015, titled "Manew Fitsum" was an instant success, cementing her position in the Ethiopia's music scene. She followed that album with her next album "Wegegta", which combines soft rock, pop, and traditional Ethiopian sounds. Her dedication to improving the world is seen by her avid interest in environmental awareness. Tsehay Yohannes was born and raised in 1959 in the capital of Ethiopia, Addis Ababa. His unique styles have enthralled Ethiopians of all generations. His love for Ethiopia and Ethiopians is skillfully conveyed in the music he produces and this coupled with traditional melodies as well as modern trances has led to his unforgettable music. "Sakilign" his tenth studio album released was received with enthusiasm from Ethiopians from all walks of life. The album was produced in the US and celebrates all things Ethiopia. La Fontaine is a group made up of two members, one of which is Tadele Roba, an ethnic Oromo. 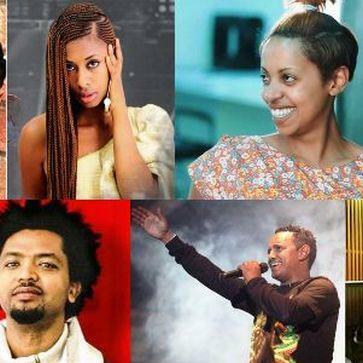 Their music can be described as modern and through the years it has had a significant impact on the modernizing of Ethiopian music in general. Hamelmal Abate was born in the Harar region, in the town of Asebe Teferi, located in the eastern part of Ethiopia. Hamelmal is known for having a powerful voice, which she uses beautifully to sing both traditional songs, with a touch of modernity. Well known for her songs celebrating the holiday season, Hamelmal is a singer that appeals to all Ethiopians from all walks of life. Born Seleshe Damessae/Sileshi Demissie, he is popularly known by his alter ego, Gashe Abera Molla. The name originated from one of the characters in his songs. Gashe Abera is an elderly man who takes avid attention into promoting the welfare of his community. Likewise, Sileshi or Gashe Abera, returned to Ethiopia after over two decades in the United States, where he performed locally and internationally, to created the an association for the social and environmental rehabilitation of neighborhoods. He studied the krar (a traditional Ethiopian instrument consisting of a 6 string lyre) with his father while he was still a child. He later enhanced his knowledge of all Ethiopian traditional instruments by studying at the famous Yared School of Music and spending an additional 4 years in the rural areas. Gashe Abera is respected throughout for his exceptional skill in traditional Ethiopian music and is also able to build and play various folk instruments such as krars, harps, fiddles, and drums. Bitsat Seyoum began her career as a singer and went on to open a popular night club in the Kazanchis/Bambis area of Addis Ababa. At her self- named club, she would regularly sing and perform Qines, a traditional Ethiopian poetry that means wax and gold. The poems have a clear meaning when first heard, this is the "wax", but upon close inspection, the "gold" or true meaning is derived. This was a popular way for performers and lovers to send hidden messages about social affairs. After over two decades successfully running the club and releasing well liked albums, Bitstat would visit Austria and seek asylum. There she would continue to perform in festivals and concerts to the delight of her fans in the Diaspora. Alemayehu Eshete, also popularly known as the "Ethiopian Elvis" was and still is a famous Ethio-jazz performer. He began his career playing with the well known Police Orchestra in the 1960's and furthered his career by creating his own band, named Alem Girma. With over 30 singles and country wide popularity, the singer was forced to flee the country when the Derg regime took control. Alemayehu would continue to perform and record while in the United States and Europe. His music displayed in the popular Ethiopiques records was a smash hit and in 2008 he held an American tour with his friend and compatriot Mahmoud Ahmed. Ejigayehu Shibabaw or better known by her stage name Gigi, was born in 1974, in Chagni a town located in the northern part of Ethiopia. She attributes her skill at traditional Ethiopian music, to an Ethiopian Orthodox priest that schooled her while she was just a child. Having lived in Kenya for a couple of years, Gigi would move to the United States in 1998. Despite having released two previous albums, it was her self-titled Gigi album in 2001 that shot her to international stardom. The album was a breakaway success, in part because of the help she received from Chris Blackwell, the former owner of the internationally acclaimed Island Records. He used American jazz musicians to collaborate with Gigi on the album, resulting in a beautifully made infusion of contemporary and traditional sounds. Her music is featured in Hollywood films and continues to be a great example of how traditional Ethiopian music, can be used along with modern styles. Kennedy Mengesha, was given his first name, because he was born on the same month of the unfortunate assassination of former American President John F. Kennedy. Along with the popular Roha Band and their upbeat styles infused with guitars and saxophones, Kennedy would woo audiences with his magnificent voice. His untimely death at the age of only 29 was devastating to his fans, but he left them over 57 tracks on 9 cassettes. Chachi Tadesse was born and raised in the capital city of Ethiopia, Addis Ababa. She began her musical career at the tender age of only sixteen. By 1982, Chachi would immigrate to the United States, where she would learn modeling, acting and music. She released her first album which infused Reggae beats with Amharic lyrics, and this unique combination brought her international acclaim. Chachi would later join Ziggy Marley's Dallol Band, and tour extensively within the United States and the Caribbean's. By 1990, she would start working with the famous producer Clive Hunt at his Kariang Studios in Jamaica and create another album with popular Reggae artists. Today Chachi is an international star in Africa, the Caribbean's, and of course with Ethiopians worldwide. She also setup a non-governmental organization in Ethiopia, to help homeless children. Bizunesh Bekele born in 1936 is considered today as the "First Lady of Addis" and has often been compared to the American soul singer Aretha Franklin. During the 1960's and 1970's, also called the "Golden Age" of Ethiopian music, Bizunesh was very popular for her soulful singing in various Ethiopian languages (Amharic, Oromigna). Bizunesh Bekele was also frequently singing with the famous Imperial Body Guard Band and Dahlak Band. Born Alemayehu Hirpo, he is popularly known as Alex Hirpo. He began his career in the 1990's with his consecutive release of three albums. It was his Evangadi album which he produced with another famous Ethiopian singer, Gossaye Tesfaye that made him an Ethiopian music sensation. He is well known today by Ethiopians residing locally and internationally and his music is still greatly listened to. Haimanot Girma was born and raised in the eastern part of Ethiopia, in the Shonkor neighborhood of Harar city. She rose to fame with her unique and beautifully made album titled "Omahire". She would then travel to the Sudan and continue to create music for her large fan base. Helen Berhe born and raised in Addis Ababa, Ethiopia is best known for her hit song "Uzaza Allina". After 3 years of working on her album, Helen released "Tasfelegnaleh" in 2010, which was received to popular acclaim. Sayat Demissie was born in 1986 in Ethiopia's capital city of Addis Ababa. She began her career as a model and won Miss Ethiopia in 2004 and almost won the 2005 Miss World. The multi-talented Sayat is also an actress that has been featured in many films, besides releasing an album that was well received. Today, she is a lawyer who is aspiring to become a judge. Tsegaye Eshetu who was at the height of his career in the 1980's produced many hit songs that combined modern sounds with traditional Ethiopian songs. His collaboration with the Axumite Band was also one of the reasons for his huge success with Ethiopians the world over. Tsedenia Gebremarkos born in 1972 would go on to work with the Dub Colossus Band. She is best known for her shared victory at the Kora Awards, in which she won the best East African Female artist category in 2004 for her hit song "Ewedhalehu" (I like/love you). Tsedenia has also appeared in films. Abby Lakew was born in Gondar, a city located in the northern part of Ethiopia. At the young age of 13, Abby would move to the United States and begin nurturing her passion for music by joining the choir and taking African dance classes. By 2007, Abby relased her first solo studio album titled "Manale", which reflected her being both an American and an Ethiopian, with English and Amharic verses. Her unique style gained her popularity and she began to give concerts in the US, Europe and the Middle East. By 2009, Abby returned to her homeland of Ethiopia to do a fundraiser tour that had the goal to build a hospital for children suffering from cardiac problems. In 2012, she took up acting and played the lead role in an Ethiopian movie titled "Eyerus", which received great reviews. In 2014-2015, Abby Lakew released singles that were instant hits with her worldwide Ethiopian fans. She was also nominated for Best Traditional Female Artist for Africa at the 2016 Kora All-Africa Music Awards. Abbush Zallaqaa was born in 1985 in the city of Bule Hora, yet he was raised in Yabelo, Borena, in the Oromia region of Ethiopia. Abbush began singing at the very young age of eight years old, and continued singing throughout his childhood, looking to superstar Ali Birra as inspiration. By the age of nineteen years old, Abbush would become the lead singer in a band called Gumigayo and this would last for six years. Abbush Zallaqaa would eventually move to the capital city of Addis Ababa and record his first album, which has gained him a massive audience. Tewodros Tadesse was born in Ethiopia's capital city Addis Ababa. He began his career in music by singing for the Ethiopian Orthodox church. This gave him the unique ability to combine ancient sounds with more modern ones. The release of his first album "Lubanjaye" catapulted him to Ethiopian superstardom and his later realeased albums contained songs such as "Emye Ethiopia", which to this day some sing as a national anthem. Tewodros Tadesse would move to the United States and continue to release albums to the delight of his many fans. Hade Haile was born in Addis Ababa the capital city of Ethiopia, but at the tender age of 11 he relocated to Austria. Aside from writing his own songs, Hade has also written songs for other groups such as Jericho Juice and Basic Instincts. His first album "I Found the Way" was an instant success in Austria and Ethiopia. It has since been featured on the media in Europe, Africa, and Asia. Due to his unique position as an Ethiopian singer with English vocals, he was interviewed by the BBC and CNN. Hade Haile was also nominated for the KORA Awards. Fiker Addis Nekatibeb was born and raised in the Dembia Koladeba which is in Gondar located in the northern part of Ethiopia. She began her musical career at a young age, while with the military, until a famous musician visited Gondar and helped her release her first album which became a huge success. Fiker Addis Nekatibeb is also a professional dancer and looks to the great Ethiopian singer Aster Aweke for inspiration. Bezawerk Asfaw is one of the original founders of modern Ethiopian music, and is largely considered to be the Queen of Tizita. Born Yoseph Gebre in 1981 in the southern Ethiopian city of Dilla, he is better known by his nickname Jossy. Beginning his musical career early, Jossy would serve as the school DJ and participate in a variety of productions. After high school, he would take musical classes, and at this time he would begin to interact with several musicians who helped him build his career. His first released single "Kine" was played on radio stations and well liked. This propelled him to pursue his musical career fulltime. With his "Enja Yene" single release in 2004, he would eventually be nominated as the Most Promising Artist at the 2005 Kora All Africa Music Awards. Jossy's first album was released in 2006, titled "Metahuwa" and in 2008 a well made video accompanying his single "Bati be Jossy Mood" became an instant hit on national TV and You Tube. Michael Belayneh was born and raised in Ethiopia's capital city of Addis Ababa. While always interested in music, it was while he was attending Addis Ababa University that he began to take piano lessons with the famous Yared Music School. He would go on to join Medina and Express Band as an English vocalist and their gigs were mostly in night clubs around Addis Ababa. By 2005, Michael Belayneh would release his first studio album titled "Ante Godana" which was popularly received by the public at large. 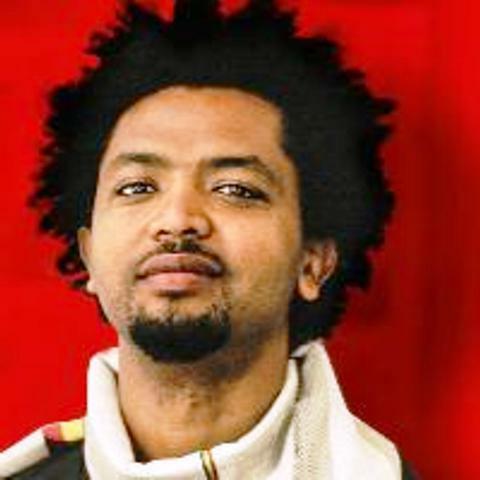 But it was his album in 2012, titled "Nafkot Ena Fikir" that placed him firmly as an Ethiopian superstar singer, as it was also named album of the year by a major media outlet. Rahel Yohannes was brought into the musical world by sheer coincidence. As the manager of an Ethiopian restaurant, she would often sing for her patrons, and as luck would have it, one night a famous musician (the late Ketema Mekonnen) would join her on stage for an unforgettable balad. A few years later she would release her first album and never look back. Two decades later, Rahel Yohannes sould release 10 albums, as well as become a successful night club owner (Fasika Restaurant and Nightclub). Born Yohaness Bekele in 1977 in Ethiopia's capital city of Addis Ababa, he is popularly known as Jonny Raga/Jhonny Raga/Jonny Ragga/Jhonny Ragga. He began his career as an artist very early as he was often encouraged to promote his well liked poetry to the public. While still a student in Bole High School, he would have the chance to DJ and perform his reggae songs at hottest Reggae club in Addis (Ram Jam) at the time. By the age of 17, Jonny Ragga would join the Medina Band and travel on tour to countries in Europe, the Middle East, North America and Africa. He has since collaborated with famous artists both locally and internationally and is working on his record label titled JR.
Mandingo Afework was born in the northern part of Ethiopia in the Gondar region. As a child he would often sing songs from his favorite artists namely, Ephrem Tamiru and others. By the age of 10, he would leave his home and join a military garrison, which enticed him by the emanating music. Mandingo Afework would join the military orchestra honing his skills for a musical career sure to follow. As a teenager, Mandingo left for Addis Ababa and joined the Zema Lastas Band, where they played imitated songs at nightclubs. This attracted the attention of producers and he was able to release his debut album which had hit songs such as "Seyame Atahulat" and "Aman Newey Goraw". He is an avid fundraiser and has also been awarded by the former President of Ethiopia, Girma WoldeGiorgis. Henok Abebe is an up and coming singer, as well as a very accomplished songwriter. He infuses modern sounds with traditional beats in a way that has endeared him to his largely youthful audience. He has so far released two albums which have left a lasting impression: Yamrabatal and Kena Enebel. Tamrat Desta was born in 1978, in the southern part of Ethiopia in the town of Tiqur Wuha, not far from Shashamane. He would move from Tiqur Wuha to Shashamane and again to Awassa, then Dire Dawa and finally to Addis Ababa. In 1998, while still in Dire Dawa, Tamrat would begin to perform on stage and with the good reviews he received, he would move to Addis Ababa to pursue his career further. 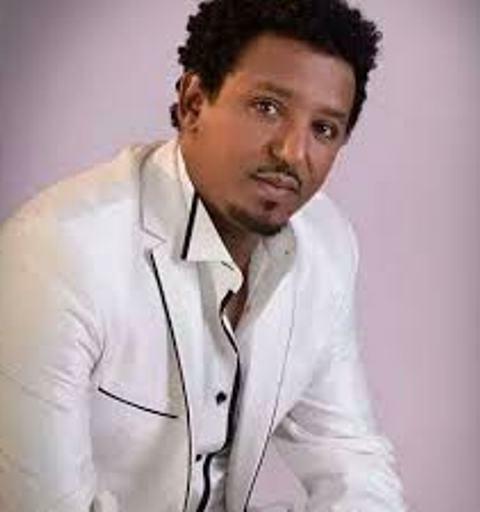 By 2004, Tamrat Desta released his first album titled "Anleyaym" which received rave reviews and shot him to superstardom. In 2014, Tamrat would release his second album, but unfortunately, still a young man, he would pass away in 2018, seeking treatment for tonsillitis. His funeral was attended by thousands upon thousands of Ethiopians, among which were many celebrities.